Discover the forgotten powers of the totems and unleash their magic. 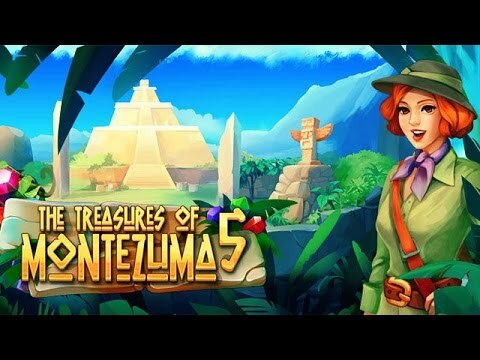 A thrilling gem-matching adventure awaits those who dare to explore the Aztec jungle, where untold treasure lies within an ancient temple. Discover the forgotten powers of the totems, and learn to unleash their magic on arrays of glittering gems. Upgrade the totems and bonuses, try your luck at the slot machine, and earn dozens of gratifying achievements. Offering butter-smooth gameplay and jaw-dropping visuals, Treasures of Montezuma 5 will keep you on the edge of your seat.